A couple days ago I got the okay from a doctor to start running again, slowly and listening to my feet. I’m not fully convinced my feet are completely ready but there’s only one way to find out, right? Some preliminary information on my half marathon is located at this blog post: Tinker Bell Half Marathon where I posted pictures of some gear I would like to bring with me and/or wear. The half marathon is at the beginning of May. I was inspired by a friend who did this year’s Tinker Bell Half and also seeing a runDisney race on an Extreme Weight Loss episode shortly after starting my weight loss journey. I did an web search right away, where I found the Tinker Bell race and instantly fell in love. However, if it weren’t for my friend (let’s call her A), I would never have dreamt of doing a half marathon! I’m so thankful for her inspiration because it opened up so many avenues and possibilities for me that I never would have dreamed possible for myself. My plan is to start by following Jeff Galloway’s beginner’s training plan from Beginners Plan. It starts with 5 second running and 55 seconds walking for a run/walk program, however I might start at 15 seconds. I will try the 5 seconds first, and then move up faster than is in the plan he has there. The eight week program would only get me to running 15 seconds at once and I think even with my feet issue I can get up to running 60-90 seconds minimum by the end of week eight if I’m careful. That will take me to the end of December, at which point I hope to start the half marathon training just to make sure I have enough time worked in for my personal needs. 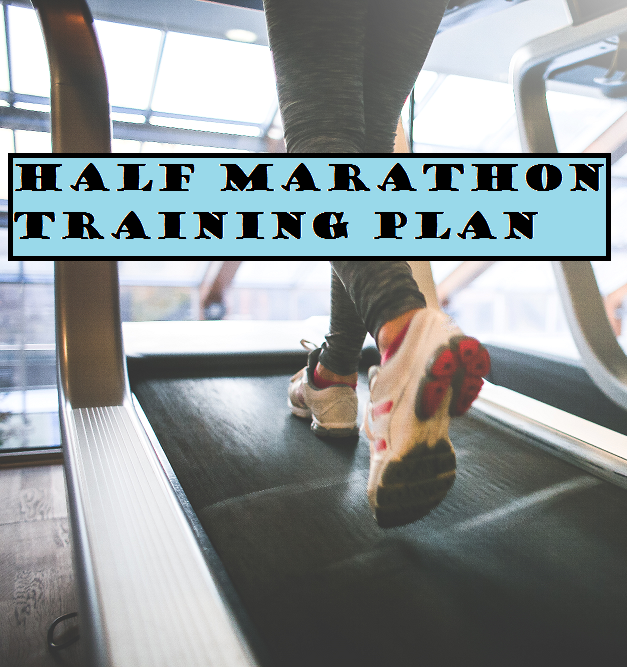 It will be the first plan (for runners and walkers) on this page: Half Marathon Training. If I start from wherever I left off with the eight week beginner’s training, working at my own pace and needs, then I can work my way up in the seventeen weeks with that. The week before the half marathon I know I need to do some kind of tapering to prepare. I’m really not sure how to go about this, and unless I’m missing something I can’t find specific information about it on Jeff Galloway’s website. After some preliminary searches on other running websites, it seems like this is a topic that’s based on personal needs/preference so I’m going to do more research on this and find what works best for me. Now with my feet still being an ongoing issue, I know I might not be able to run the full half marathon, or even run as much as I would like to. However, as long as I am moving fast enough for the race guidelines, which is 16 minutes or less per mile average, I will be fine. This means if I can average a 15 minute mile or faster with walking breaks then I won’t be pulled out, and I have no doubt that I can at least do that. Some people can walk at that fast of a pace, surely with some walking breaks I can “run” at that pace. I have to keep reminding myself of this part because sometimes I wonder if I will get pulled out for moving too slowly due to my feet or other factors. So there you have it, my training plan now that I have the okay from a medical professional. I do believe I still need to see a podiatrist to make sure everything is truly okay, but that can wait for now. I know I have supportive shoes that fit my feet well, which are the Brooks Ravenna 5’s and if I really listen to my feet, resting when needed and training on days my feet feel better, I will do well. I’m excited to finally embark on this training stage after four months of foot pain and being in limbo so to speak. It’s finally happening! I hope it goes well! Posted on October 25, 2015 October 24, 2015 by Bonnie McConaughyPosted in Exercise, Fitness, Half Marathon, My Journey, WorkoutsTagged Exercise, Fitness, Half Marathon, Healthy, Running, Tinker Bell, Workouts. I am rooting for you! I know you will do the right training and that will make you so successful!! Good luck!! Just start out slow and build on that. You CAN do it!! What an awesome goal and sounds like you have a great plan to make it happen. Good luck! Thank you! I can’t wait to start! Tapering is always my biggest mistake with every race or big run I do. I am always afraid to reduce my training, for the half marathon I only took 2 days off before (not enough recovery). I think I would have had a better time if I’d rested up at least a week if not 2 weeks. I’m looking into that for next time! Also, the disney marathon is VERY distracting! LOL. It’s hard to get a good time because you just want to stop and see everything! The park is beautiful at that time of morning and there are characters and cheerleaders everywhere. Plus it can get really crowded and you’ll be stuck behind huge crowds and forced to walk. I kind of slowed to a jog and went around the crowds (but got yelled at by employees cuz I went off the path lol). Anyways, definitely rest your feet before hand. Atleast 1 week if not more, still take light walks, like 45 minutes the most per day and light jogging maybe. No squats 1 week before hahah. The squats kill your thigh muscles making running HARD. I could write about racing all day lol. I’m excited for your training plan! Don’t stress too much about it. Have fun with it too!